I am often asked to explain what is meant by the term “aeration”. In simple terms it means taking any action to relieve compaction caused by feet, machinery, and weather conditions. If the soil becomes compacted, the essentials for healthy plant growth, air and nutrients, can be excluded from the root zone leading to a weak and disease prone turf surface. There are numerous methods that are used to combat, and relieve, compaction, I will explain what they are below. Solid spiking is carried out using round or chisel shaped solid steel spikes that can vary in length and diameter. A garden fork is the simplest method for small areas, and even targetting specific areas on bigger areas like bowling or golf greens. See here. The method is to insert as deep as possible at a near vertical angle, then ease the handle back a few inches to break up the soil underneath. The spacing should be in a square pattern, dictated by the width apart of the fork spikes. A good hand tool that is used even professionally on small areas, is the Paul fork. Find here. This can be fitted with round, hollow, to remove bad soil, or slit spikes. There are many other hand tools, even spiked shoes, which can do a good job. The opposite end of the scale would be a machine called a vertidrain, tractor mounted, which covers large areas by replicating the action of the hand fork, inserting tines up to 16″ in length at a near vertical angle, and giving a heave to break up underneath. There are many other machines in between that are suitable for all types of domestic and sports surfaces. In my opinion this is the method that gives the best long term relief of compaction. Slit spikes are shaped like knifes, and work by slicing through the soil. This method not only reduces compaction and introduces a lot of air, but also acts as a root pruner, encouraging the production of a denser root system. Slitting should always be carried out in the same general direction to avoid the turf splitting and drying out in drought conditions, and is best carried out in the Autumn and Winter. Chisel spikes can be used year round. On sports turf slitting can be carried out every two or three weeks over these months. This is a good example of a lawn slitter. Hollow coring is carried out using hollowed out steel tines that remove cores of soil and place them on the surface for collection. This is ideal for small to medium lawns. This unit can also be fitted with solid or chisel tines. It`s a very disruptive operation, leaving a soft and easily damaged surface, even after applying the essential sandy top dressing. In my opinion if the soil is so bad it needs to be removed it would be much better to bite the bullet and rebuild from scratch. Hollow coring takes years to replace even a fraction the underlying soil. One exception would be using very closely spaced mini tines to provide a good seed bed if over seeding in the Autumn. Scarifying is not often described as aeration, but removing thatch, dead and dying grass plant material, is essential in allowing the grass sward to breathe properly. 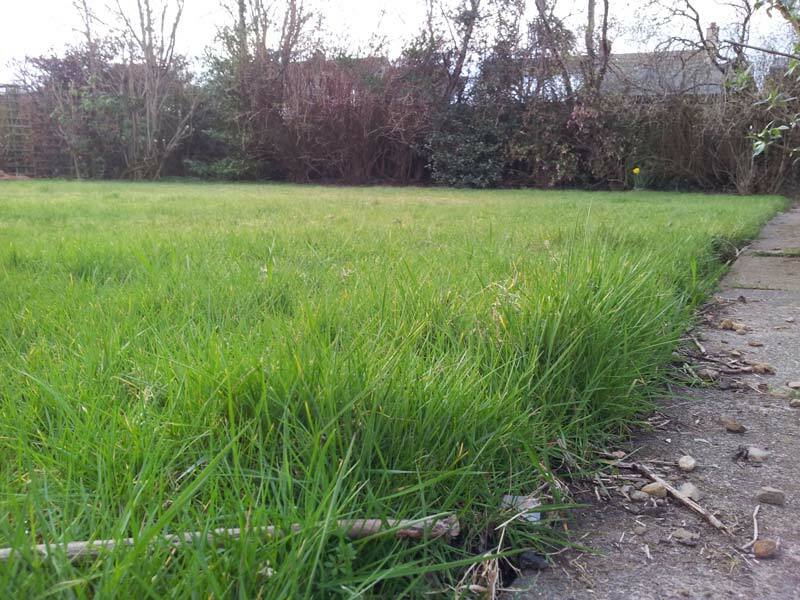 A word of warning, don`t carry out these operations when the grass is not growing well to aid recovery, or there is a risk of hard frost as the grass crowns are exposed and can easily be killed. Look here to see examples of scarifiers. The term scarifying covers three main areas(using vertical spinning blades). Thatch removal, thatch control, often referred to as verti cutting , and grooming. These operations can be carried out using powered machinery, with a series of closely mounted blades that slice vertically into the grass surface, or on smaller areas by using a hand held spring tine rake. The only difference is in the severity of the operation. Scarifying is normally an operation carried out in Spring and Autumn to remove a substantial amount of the thatch material. It is quite disruptive, so it is important to ensure the grass is growing well to aid quick recovery. Verti cutting is a much less severe operation with the blades closer together, and can be used on a weekly basis during the growing season to control thatch build up. As a general rule verti cutting can be carried out as soon as the previous marks have grown out. Most scarifying machines will be able to do both operations, by inter changing units. Grooming is by way of a small vertical cutting unit fitted to the mower just in front of the cutting blades. The main use is in setting up the grass to give a cleaner cut with the mower. In my opinion, and experience, a waste of a lot of money on an extra to a mower that a good scarifying machine will do much better. Fitting a comb or brush to a mower will do as good a job. NextWhy a lawn needs attention in Winter, Part one.